Peter Shilton OBE is one of the World’s Greatest Ever Goalkeepers. Born in Leicester, Shilton started training with his local club Leicester City aged 13. He made his debut for Leicester in May 1966, aged just 16, against Everton. Having impressed England manager Alf Ramsey, Peter made his international debut against East Germany in November 1970. After 286 appearances, Shilton left Leicester in 1974 and joined Stoke City for a world record fee. By the time of his retirement in 1997, he was the fifth oldest player to have played in the Football League or Premier League. Peter played in a record number of league games – 1,005. He also shares a world record of having played 1,387 competitive matches. Highlights include winning the First Division Championship, the UEFA Super Cup and the Football League Cup. With a professional playing career of over 3 decades, Peter played for 11 clubs, won two European Cups and played in 3 World Cups. Between 1968 and 1990, Peter played for England at all levels. As a result, he remains England’s most capped male player with a record 125 caps. He has been inducted into the English Football Hall of Fame and furthermore, awarded an OBE for Services to English football. 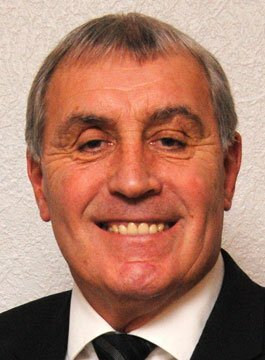 Peter Shilton is available to present entertaining after-dinner speeches as well as motivational speeches.